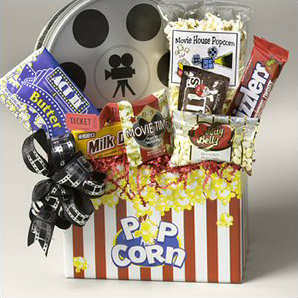 If you enjoy watching movies, then making the most out of your movie experience is probably important to you. Are you the kind of person who hates the sound being turned down to low? Or, the kind of person who hates it when people talk during the movie while you are trying to pay attention to it? Well, if you are, then here are some tips for making the most out of your movie watching experiences. First, only invite people who you know will not talk during the movie. The guest list is important, no doubt about it! Second, consider what snacks you will be having – make sure to have popcorn, soda, candy, or anything else that you might want on hand before you start the movie. As far as your tv goes, use the tv that you like the most – this is usually the television in your living room, because this one is usually the biggest and the highest in quality. For sound, hook up the surround sound, and turn it up enough to where it is difficult to talk over it. This way, people will pay more attention to the movie, and you will be able to hear all of the small things in it. If you are a very serious movie watcher, and if you are watching it alone, maybe hook up some headphones for the ultimate surround sound experience. Make sure that your seat is a good distance from the tv, and make sure that everyone can see it well. It can really stink to have to watch a movie if you cannot see it well! If you follow these simple steps, then you should be able to thoroughly enjoy your movie. Make sure to pick out a movie that everyone wants to see, and happy movie going!